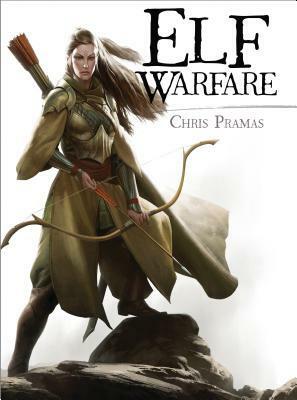 Summary from Goodreads: Although few in number, elves produce the most skillful and deadly warriors of all the races. Renowned for their archery and agility, they are mostly associated with hit-and-run tactics; however, they should not be underestimated in open battle. This book compiles all of the information known about these elegant warriors and how they practice war. From an initial examination of the fighting methods of the individual Elf warrior, it goes on to reveal how they do battle in small companies and vast armies. It covers all of their troop types--from their famed bowmen and swordmasters to their lightning-fast cavalry--making special note of regional variations and highly specialized fighters such as war mages. Review: This book is for anyone who likes epic fantasy and elves. There was a lot of information about the different kind of elves, their weapons and their battle strategies. I liked the short stories about the different sections and I wish they were longer and more a part of the layout. The epic battle at the end was my favorite part, it brought together all information that was just learned and painted a wonderful picture. I gave this book four stars because I could tell that a lot of research went into each chapter and they were well written. This is definitely a niche book and might not be interesting to readers who don't read enjoy epic fantasy or fantasy world building.